One of the biggest benefits of ductless mini-split heat pumps is how long they last. While you can expect most standard air conditioners, furnaces, or heat pumps to last around 10-15 years, ductless heat pumps have been known to perform efficiently for well over 20 years! Ductless mini-split heat pumps, especially when properly maintained, should run smoothly for a long time. But if you find that yours has hit some bumps on the road, just call Peninsula! 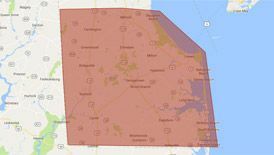 For ductless heat pump repair in Delaware or Maryland, don’t wait—call Peninsula today at 302-629-3001302-629-3001 or click here! An indoor unit is not running – conditioned air is delivered to the different rooms in your house via registers mounted above the door or on the ceiling. So if you find that one of these registers is not working properly, it could be cause for concern! First, check that the temperature has been set properly and the unit is in the proper mode (HEAT or COOL). If everything looks good and you can’t figure out what’s wrong, call Peninsula! An indoor unit is running, but not blowing cooled air – the most common reason for this is a clogged filter. If you’ve replaced your filter and your unit is still not cooling, there could be a problem with ice buildup blocking the blower wheel, or it could be a burnt motor or control board. 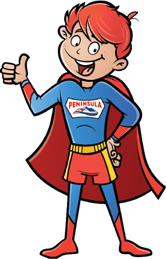 Peninsula can take care of any ductless mini-split heat pump—call us today! No matter what your ductless mini-split heat pump issues are, call Peninsula for fast, friendly service today! If you notice any problems with your ductless mini-split heat pump, it is important that you schedule repair service right away. Any issues with the performance of your system will only get worse if given the chance. Do not risk serious damage to your system. Our ductless mini-split heat pump repair technicians can resolve any problems with the operation of your system. Routine maintenance is the best way to keep your ductless mini-split heat pump operating as consistently and dependably as possible. Call now for professional ductless mini-split heat pump maintenance that you can count on. Peninsula is here for all of your ductless mini-split heat pump maintenance! To find out more about our ductless mini-split heat pump repair in Delaware and Maryland, contact us today!